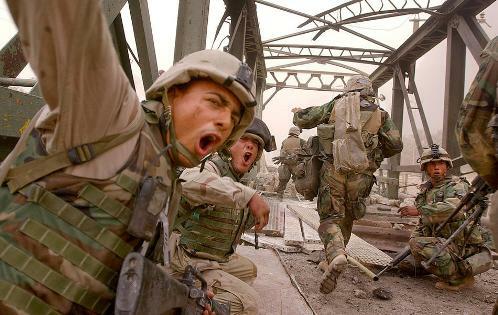 Ten years ago, more than 100,000 U.S. forces sat poised in the Kuwait desert, waiting for a breakneck push over the Iraqi border to Baghdad. The U.S. invasion began March 20, 2003. Given the sheer scope and costs of the subsequent war in Iraq, it only seemed appropriate that the Military Times newspaper chain would mark the anniversary of the invasion. To that end, we’ve launched “10 Years After the Invasion,” a four-part series. Kelly, now chief of U.S. Southern Command, recalled that as he crossed into Iraq, his driver, a corporal, asked how the country would be put back together. Kelly, relying on guidance from U.S. Central Command and other top officials, assumed a plan was in place. “I said, ‘I’ve got to think that’s all going to be worked out. Right now, we’ve just got to worry about not getting killed here and taking down the Iraqi army,'” said Kelly, who led successful assaults the following month on the cities of Samarra and Tikrit. Part 1 of the series, by Jeff Schogol, is posted here. I wrote the second part, which is posted here. Sidebar pieces by Andrew Tilghman and Paul McLeary also already are online. The series will be published throughout the month of March in all four Military Times newspapers. The latter pieces will address heroism on the battlefield and the costs of the campaign — human and otherwise. Wow. This is a brilliant idea for a series. Look forward to reading it.